A coach is an advocate, a partner who helps you set meaningful goals, then helps you achieve them. A coach is a thought partner, someone who helps to hold you accountable for the things you really want in life. It was a roundabout path. Now that I’m coaching full time, friends and family reflect that this is what I should have been doing all along. But without having done all those things prior, I’d have been a less effective coach.In college, I majored in Human Development and Family Studies. I liked the mind, and was interested in how people worked in groups, in society and families. Many of my peers went on to therapy. I wanted something more future-focused, more active. Coaching wasn’t a “thing” yet.I went on to work for dot com companies in New York and San Francisco in the nineties, then went to culinary school. My culinary goal was to help people learn how to cook at home, since so many of us growing up in the 70s, 80s and 90s were more comfortable with a microwave than a stove.After, I went to work for Martha Stewart and eventually started my own cooking school. I was given the opportunity to host a TV show for Martha Stewart (Everyday Food), and went on to host several more shows, Home Made Simple (TLC), Cook Yourself Thin (Lifetime) and Blue Ribbon Hunter (Yahoo). This led to cookbooks, travel and all kinds of fun. I had a blast.The funny thing about being on TV is that when you’re starting out, contracts are tough. My first two shows had lock up agreements such that I couldn’t be on any other shows for a year after producing the one I was on. That left me with a lot of downtime.Enter coaching! I found a certificate coaching program at NYU, and thought — this is for me! It’s action-oriented, therapeutic, and I can help people get where they want to go. I graduated from the program in a year and started my practice in 2005. I started out coaching part time until I opened up my full time practice with an office in Montclair in fall of 2014. Referrals and word of mouth are a great way for clients to connect with me. I also have a web site where many people find me online. It’s great work. I help people cut through the clutter and figure out what they want. In a partner, in themselves, in their work. I help them design the life they want and live it. I can’t think of anything more thrilling or meaningful than that. It’s the work I was meant to do. It’s an honor to work with young adults just out of college looking for that first job, successful professionals who are planning to retire, parents who’ve just had a baby and are looking to reset their work/life balance, folks who are between jobs and someone who just wants something different. I’m not giving advice, I’m asking questions — listening to what is meaningful to my client and helping them achieve that thing. Also, it helps me live the life I desire. With 3 young children, I want to be around for them. My office is a mile from my house, which means I can see clients when they’re at pre-school and then in the evenings when they’re asleep. I can mold my work hours around their schedules so that I can maximize my time with them. It’s a very flexible job, and I can ramp it up or back off as need be. 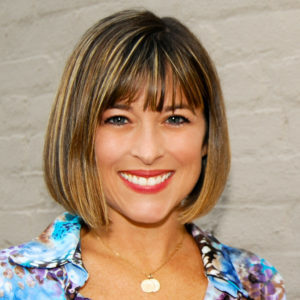 Allison Fishman Task is a career and life coach who lives in Montclair New Jersey with her husband and four children: 4 year old twin boys, a 2 1/2 year old daughter, and 15 year old stepdaughter. Fun Fact : She used LifeTree Placenta Services for all three of her births, including the first one when her twins arrived two months early! Since this was an all-hands on birth at the hospital, the medical team was very attentive, yet unfamiliar with placenta encapsulation. Her husband wrestled with the hospital staff who insisted her placenta was “medical waste” and wouldn’t let him have it. Good times. As if having natural birth and a c-section wasn’t enough fun for one day.